I've already consulted with the chap who'll do the welding (a Fiat Coupé specialist) and in his words it's "all stuff I've seen before and is all repairable"
Sub'd to this one. I've a real soft spot for the Coupe and very nearly bought a standard dark green 20v non turbo when I was 18. Bottled it as the one I really wanted was the Turbo and I couldn't afford the insurance. My Dad nearly bought one new when I was very young, would it be an 'LE' model? Was a dark silver with anthracite alloys and it had all of the plus bits, I remember it looking stunning in the showroom. I might be wrong, I'm going back a long time here and my memory isn't great. Good luck with it, can't wait to see it done and dusted. Abarth owner and fan here so naturally, I cannot wait to see how this progresses! Love the Fiat Coupe and this thing was seriously quick in it's day! that was probably its downfall. once water gets underneath and starts creeping .... !! i think you've probably caught it just in time. There's just something about a rotten fiat that I just love!?! Yes the 'Limited Edition' 20V turbo Coupé came around in 1998. Limited to a production run of 3000 individually numbered cars, they were the first versions to have a 6 speed 'box, push button start, Recaro front seats, the anthracite alloys, wings mirrors, rear light cups, red Brembo's, front strut brace, subtle bodykit, etc. The interior had a lot of bright red leather to contrast the black and wasn't to everyone's taste. 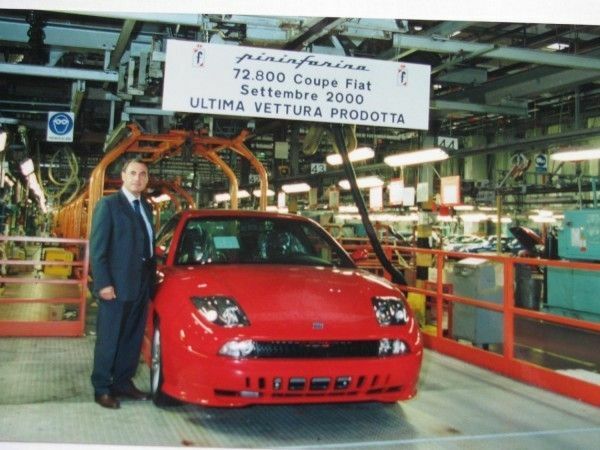 I saw a red one in the flesh on the Fiat stand at the Motor Show at Earl's Court in 1998 and LOVED it. Seemed incredibly exotic for a Fiat! Michael Schumacher was rumoured to have been given LE number 0001 as a gift at the time but it's since been debated that he had a slightly later number in the sequence. Regardless, LE number 0001 appeared for sale a couple of years ago and commanded quite a premium due to its number. When purchased new the owner was also given a jacket with the number of their car embroidered on. The '20V turbo Plus' model followed in 1999 and had, much to the annoyance of LE owners who thought their cars would remain unique after the 3000 cars were produced, pretty much the same spec as an LE but with a more understated interior and minus the anthracite bits. Both LE's and Plus' fetch a premium now compared to normal 20V turbo's. ...which turned out to be MUCH worse than I thought. if you want to make yourself feel better about yours take a look at that [1 year younger] one! Looking forward to updates - subscribed! Mine is number 69796 so not that far from the end. Love these. As has been said the underside does'nt look to back to me at all. Good luck with it.